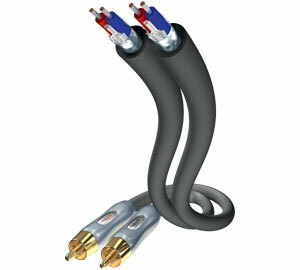 The Excellence audio cable creates brilliant reproduction with its silver-plated signal conductors. The symmetrical design, the foil shielding and the additional earth conductor ensure the highest level of immunity from interference. The double mono design ensures optimum channel separation and excellent electronic properties. Klik op de onderstaande knop om het volgende toe te voegen: Audio Cable Exzellenz Stereo RCA<>RCA aan uw verlanglijstje.